Click the “Download template” link and download of your files will start. After it finishes, you will have an archive with your template's files. NB: If you need an invoice for your purchase, you should click the “Get Invoice” link on this page to get it. Unpack files from your archive: you will see the “site_flash” folder, that contains files that you should upload to your server. When using FTP software, please make sure that you have set a binary mode for the file transfer of your FTP client. Don't change the file names (i.e. don't convert the file names to lowercase). Upload contents of “site_flash” folder to your server. Please note that you only have to upload the contents of this folder, not the folder itself. Then visit your website and see the results. To access the control panel, add "/admin" to your site’s URL (example): http://mysitename.com/admin/ and you will see the control panel loading. To launch the Moto CMS control panel you need to add /admin to the URL of your Flash site. For example, your website is located at myflashwebsite.com. So to enter your control panel you have to type myflashwebsite.com/admin in the address bar of your browser. 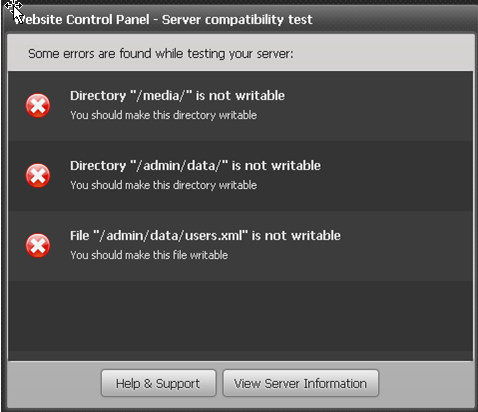 An automatic server test will check if the server meets all the requirements and is compatible with Moto CMS. Normally it checks the PHP version installed, PHP extensions required and file permissions set. In case your server does not meet the requirements specified on the template preview page, you can refer the list of possible errors. PHP version is lower than required. This error occurs if the PHP version doesn't satisfy the requirements. In order to work with Moto CMS you will need PHP 5.3.23+, 5.4.04+ 5.5.09+, 5.6+ with Zend Guard Loader installed. If the PHP version installed on the server doesn't correspond to the required one, please contact your hosting provider. 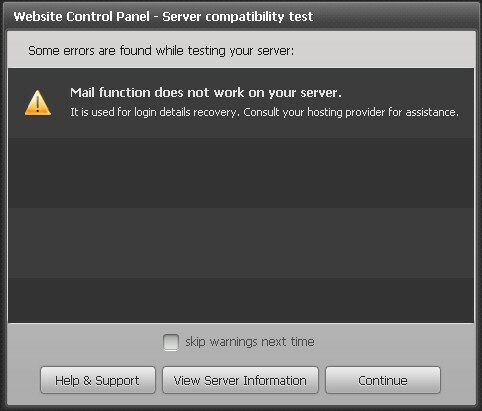 If some adjustments need to be performed on the server, the control panel will display a window with instructions on how to do so. 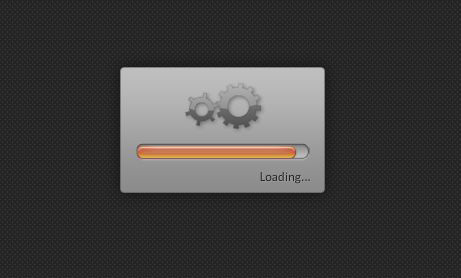 This quick setup process launches only once after you have used Moto CMS control panel for the first time. In other cases the system immediately goes to the activation check-up stage.